She's Fantastic: Spider-Man Sneak Attack - MADAME WEB! Spider-Man Sneak Attack - MADAME WEB! It's funny how long I avoided this figure only to spend the last year trying to hunt her down at a decent price. In all honestly, this figure isn't the greatest, but the fact that they made an action figure of an elderly woman blows my mind. Not to mention the fact that she is blind and paralyzed. Toy Biz gets a zillion diversity points for this one. Cassandra Webb was a clairvoyant and precognitive mutant who aided Spider-Man on occasional missions (I say was because she is deceased). She was an ally for sure, but she always seems creepy and dubious to me. This line is from the 1994 Spider-Man animated series and was released just as the show was coming to a close. 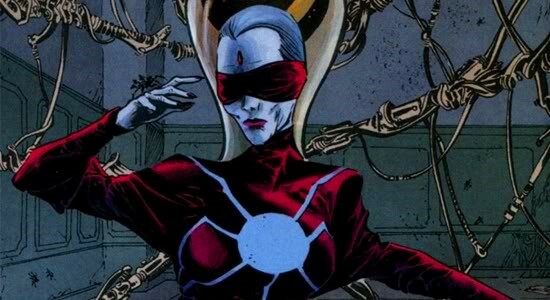 Considering this is likely the only Madame Web figure we'll ever see, it's a shame she's wearing the goggles from the animated series. Her blindfold look is much more iconic. 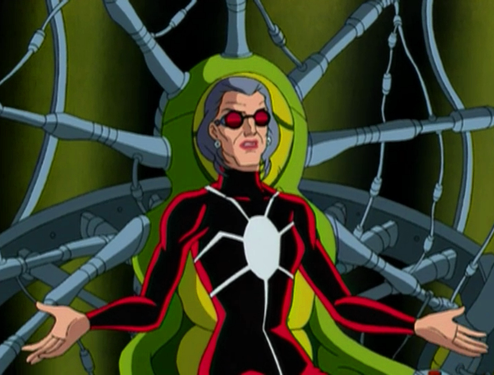 I just learned a fun fact that Stan Lee's wife Joan provided Madame Web's voice for the cartoon. I'll bet that played a role in the green-lighting of this unlikely figure. I understand this was the 90s and articulation was limited. Not to mention that this figure is an entirely new sculpt. But I really wish she had wrist swivels. It would make this figure immensely more dynamic. She is articulated at the neck, shoulders, waist, hips, and knees. The weight of her lower skirt balances her well in a variety of poses. I'm really glad she can stand up straight as well because I don't have enough shelf space for her chair. Speaking of her chair, this figure come with a big one. The "Flip 'n Trap" action feature refers to these two alien-looking spider creatures and a small red launching mechanism. launch upwards. The goal is to have them hit the center of her chair's web. There is a trigger plate there that ensnares the spider like a venus fly trap. Here is her first appearance from 1980. Here she is with the rest of the Toy Biz Spider-Ladies. You know, in all honesty, this is actually a pretty neat figure. If diversity, uniqueness, and the fact that she is an 'obscure' character to most, I do wish that she gets a redo. I would like the blindfold as well; as you said, it was 'iconic'. All in all, this figure would be an awesome addition. I love the classic collection of the Marvel Spider-gals! 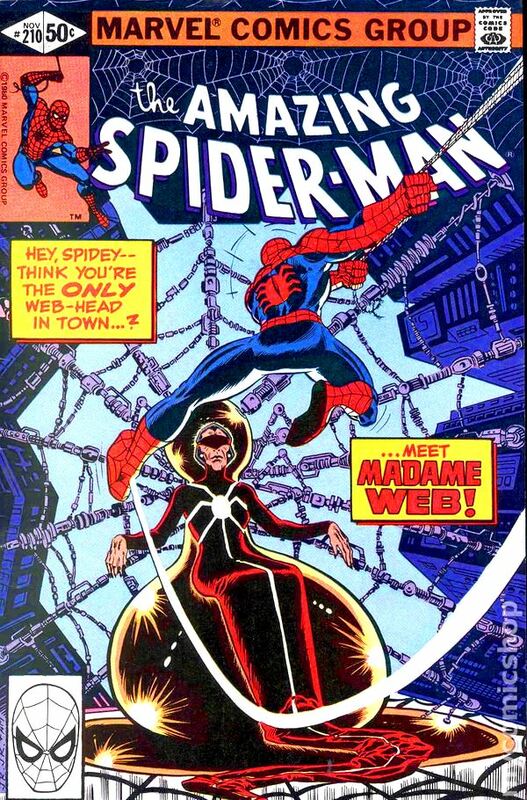 The new Madame Web in the comics is a little dull. Maybe the character has already been retired, but I know Julia Carpenter took over after the original Web died. Julia went blind when she absorbed her precog powers. She's basically a pretty woman with red cyclops-like glasses and a trenchcoat. Think Carmen Sandiego without the cool hat. As much as I like Julia Carpenter, I would rather have Cassandra magically come back (and be so popular that she gets a Marvel Legends figure!). 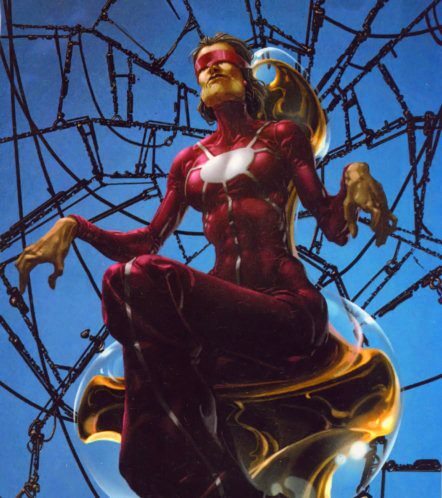 The weaver character in the Spider-verse comics made me think that she would've filled that role in the story if she were still alive. What an odd and intriguing figure. I had no idea she had ever been made, let alone in '98! You are right - bravo to Toybiz for making her. Odd and intriguing indeed. She actually seems to fetch a decent price on ebay, too. I thin the cheapest I saw her was $16, but more likely around $25. I held out for over a year until I got her very cheap through a buy-it-now.